Cut green chives into 3cm part. Mince ginger, red onions, garlic. Take out the egg white and beat the egg yolks. Mix sauce: Mix all these ingredients together: 50ml of water, 50g Knorr Tomato Sauce, 5g Knorr Seafood Seasoning Powder, 5g Knorr Lime Powder, 10g chili sauce, 25g sugar and ginger. Boil the sauce. Crab rolls through Knorr Corn Starch and fry until gold. Stir fry red onion, garlic, chili with mixed sauce. Add Knorr Corn Starch (dissolved in water) with egg yolk to create consistency. Add and stir fry the green chives and fried crabs. 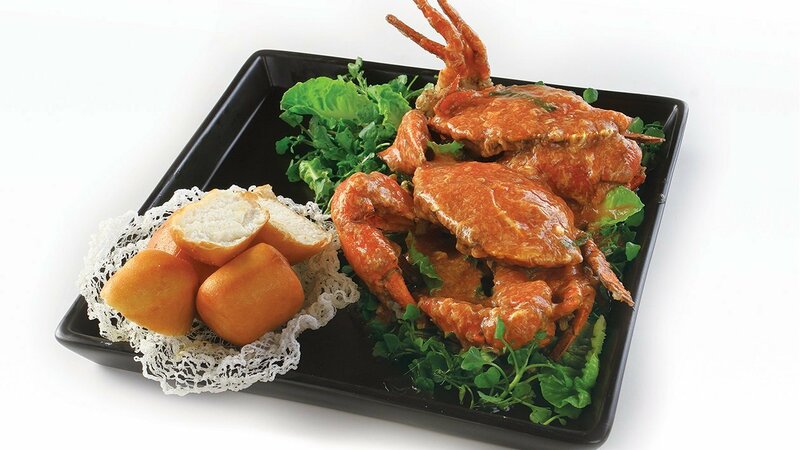 Serve the crabs on plate. Decorate with fried ginger. Can be served with fried (or steamed) dumplings.